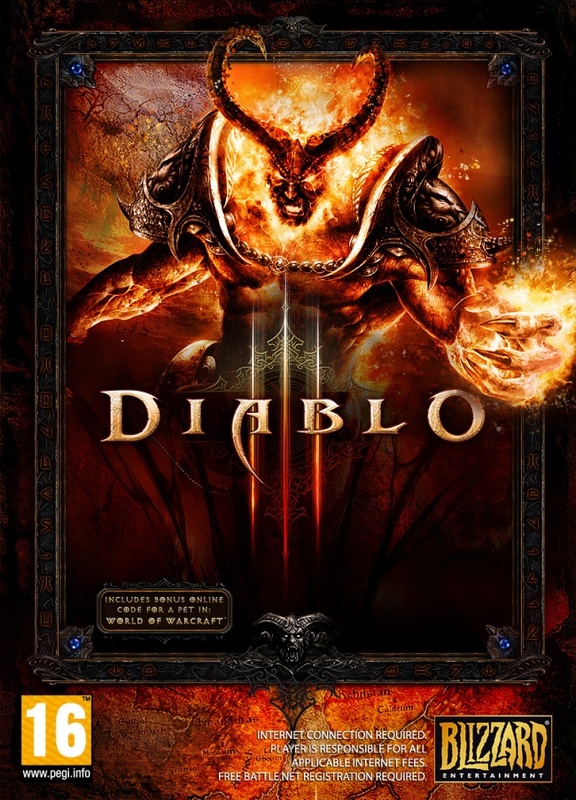 A Polish retailer posted an image today with what may or may not be the box art for Blizzard's action RPG Diablo III. We've definitely seen our share of fake box art around the videogame biz, and a highly anticipated game like Diablo III is sure to pique the interest of someone savvy enough with PhotoShop to produce something palatable. The image below comes from a website called gram.pl and features everyone's favorite demon screaming and brandishing his flaming fist. At first glance, the image looks legit and could conceivably pass muster in Blizzard's art department. Even the disclaimer - in English on a Polish website, mind you - stating that an internet connection is necessary for play even offline, much like Battle.net's functionality with Blizzard's latest title StarCraft II. But then a careful eye will notice that the box-within-a-box is a bit crooked, the runes on the border don't quite feel authentic, and the whole square thing is pretty damn ugly once you mention it. And even if the whole World of Warcraft pet code is a nice touch, wouldn't that be reserved for the collector's edition as Blizzard is wont to do? So this may be a nice hack job cobbled together from different sources. 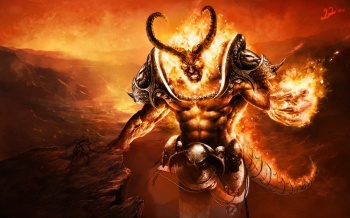 A quick check reveals that the image of firey Diablo isn't even supposed to be depicting him, but is rather a fan's interpretation of Sargeras, leader of the Burning Legion in Blizzard's other franchise. Nice try, Polish peoples. But yeah, that's a fugazi.